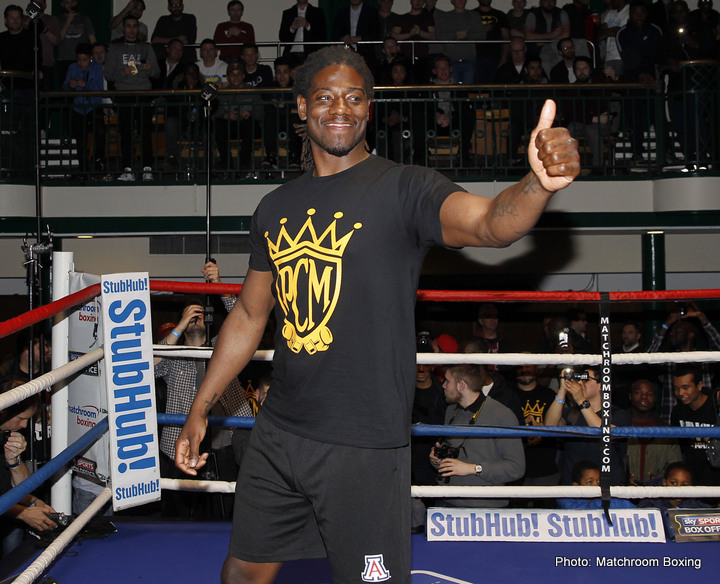 One win removed from his terribly disappointing effort against Anthony Joshua in April of last year, when he lost his IBF heavyweight belt, Charles Martin’s comeback is scheduled to continue tomorrow night in Alexandria, Louisiana. The 31 year old southpaw known as “Prince” Charles, will face journeyman Michael Marrone, 21-7(15). In April this year, returning to action a full year after being blasted out inside just two rounds by Joshua, the 6’5” Martin, 24-1-1(22) eased himself back with a straightforward stoppage win over another journeyman in Byron Polley. It’s not likely Martin will get a much stiffer test against Marrone, the 31 year old from Vero Beach, Florida who was once managed by the late Lou Duva. That relationship with Duva was a long, long time ago, and it was in 2008 tht Marrone lost his unbeaten record as he was crushed quickly by Francesco Pianeta. Since then Marrone has taken long layoffs from the sport, and he has registered just two wins in his last nine fights. Last seen being stopped by an unbeaten fighter called Simon Kean, in April of this year, Marrone was stopped by Chazz Witherspoon and by Shannon Briggs in 2016 and 2015 respectively. Marrone was once something of a prospect, but who knows what he has left to offer these days. Martin is clearly taking no risks as he attempts to build up momentum and, he hopes, get himself back into title contention. In light of how easily he felt apart against AJ, it is going to take fight fans some time before they are willing to invest any serious time in the man from Saint Louis. Comebacks are often interesting and worth following, particularly heavyweight comebacks, and at least Martin is looking to keep himself reasonably busy. Next boxing news: Billy Joe Saunders has harsh words for Willie Monroe Jr, Chris Eubank Jr.